Aishwarya | Page 4 of 67 | Beauty, Lifestyle & Travel. Today’s post is one that will have skincare enthusiasts beaming with excitement! I bring to you the Fresh Holiday 2018 Collection. 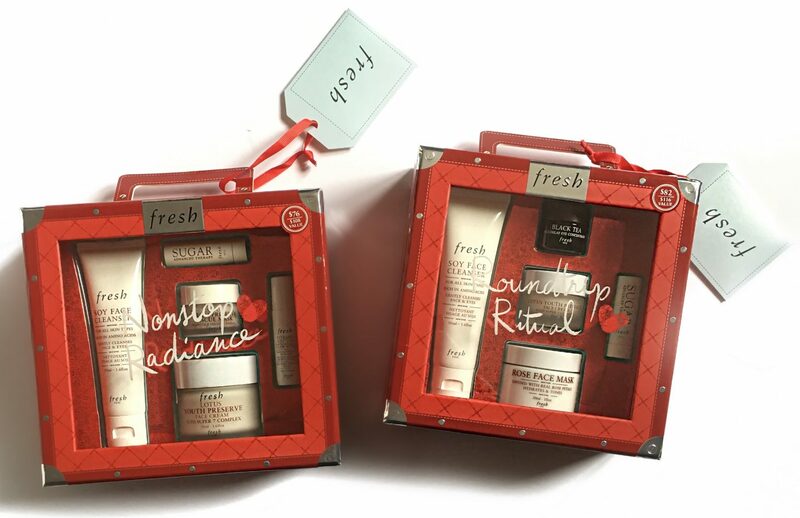 So, get ready to check off a ton of gifts off your list, including skincare gift sets and stocking stuffer ideas. I have a selection of gifts to share with you below! There is a running theme of travel, throughout the entire collection. Each gift set comes packaged in uberly cute luggages, with gift labels. Paying great attention to the small details, Fresh included mini world maps inside the tags. To allow recipients to mark off their own travels with heart-shaped stickers. Let’s begin this collection haul with some great stocking stuffer ideas. 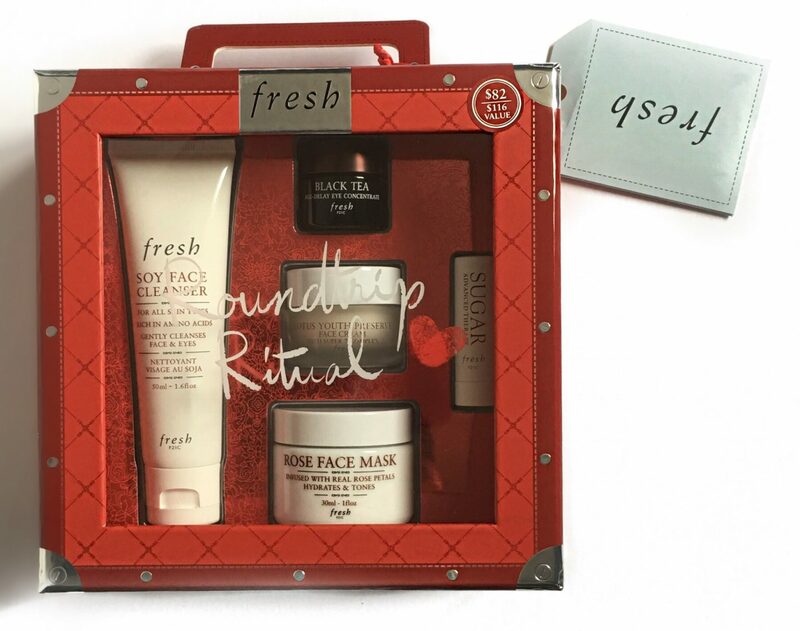 Frequent Flyer Gift Set ($26 CAD) Featuring two of Fresh Beauty’s best selling products. The Soy Face Cleanser is an all time favourite of mine. It’s a gentle, gel based cleanser that leaves skin feeling refreshed and softened. The Sugar Advanced Therapy Lip Treatment, is an incredibly emollient lip balm, packed with ingredients like jojoba, black currant, orange extract and more. 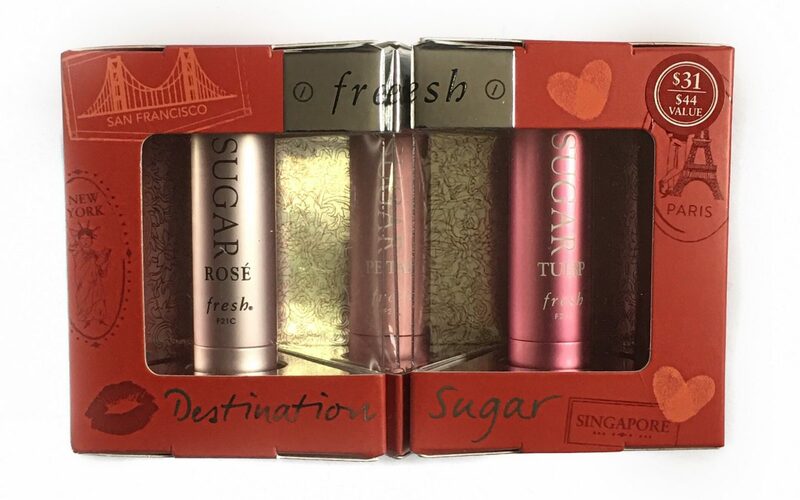 Destination Sugar Gift Set ($26 CAD)What’s better than one lip treatment? Three lip treatments! 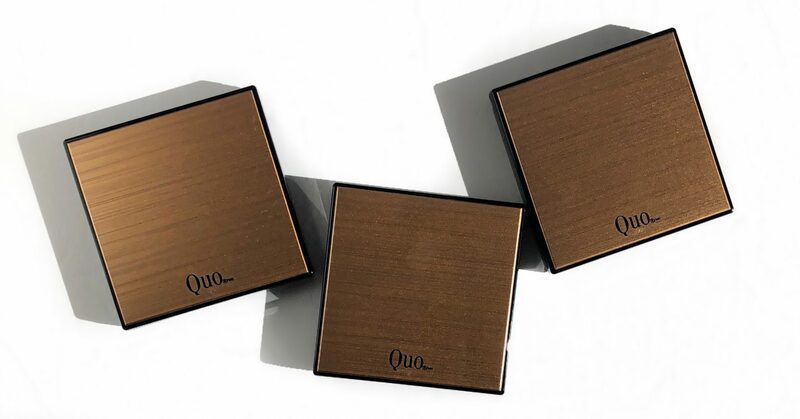 This trio comes packaged in a split case that connects back together with the help of magnets. The lip balms are tinted ever so slightly. Providing a natural amount of colour to the lips with long lasting hydration. The core products for any type of travel! A gentle cleanser, soothing face mask and a hydrating face cream! 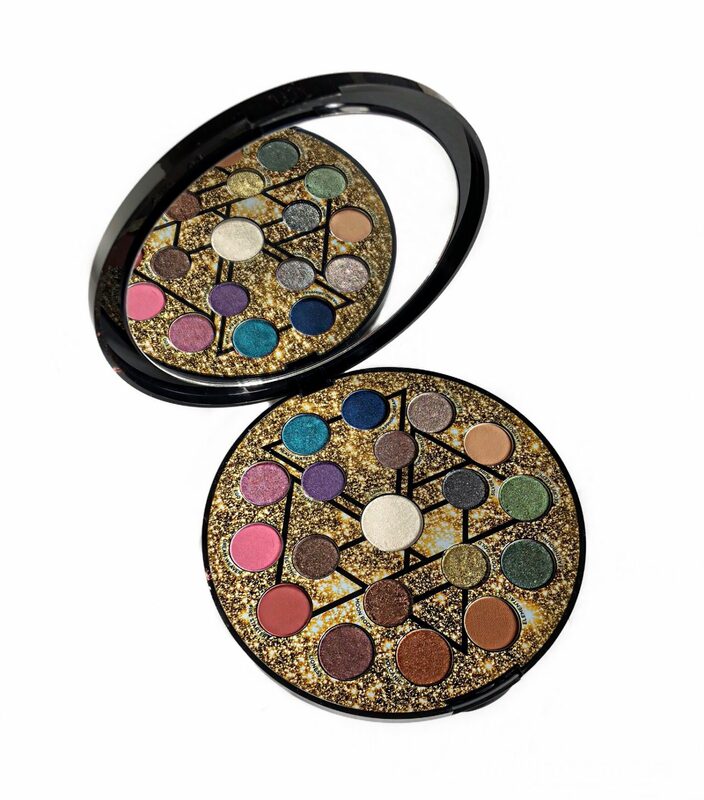 This year has been the year of zodiac inspired collections. 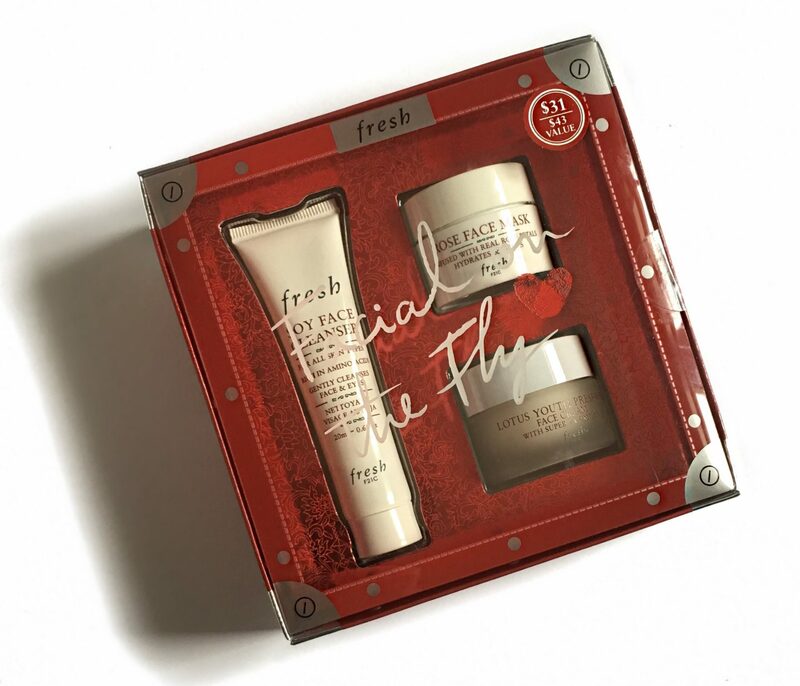 Fresh launched their Limited Edition Zodiac versions of their best selling Sugar Advanced Therapy Lip Treatment. 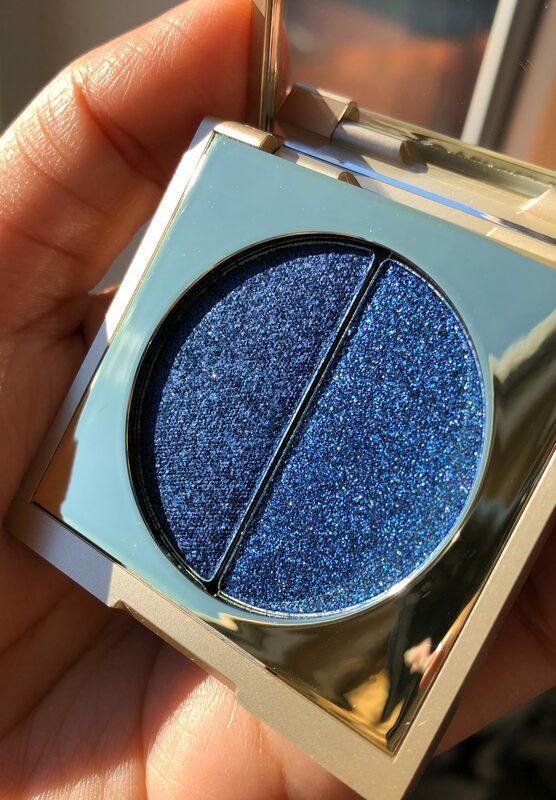 I’m an Aquarius and I can’t tell you how much I love this little personalized gem! Shifting direction towards gifts, get ready to be WOW’ed! 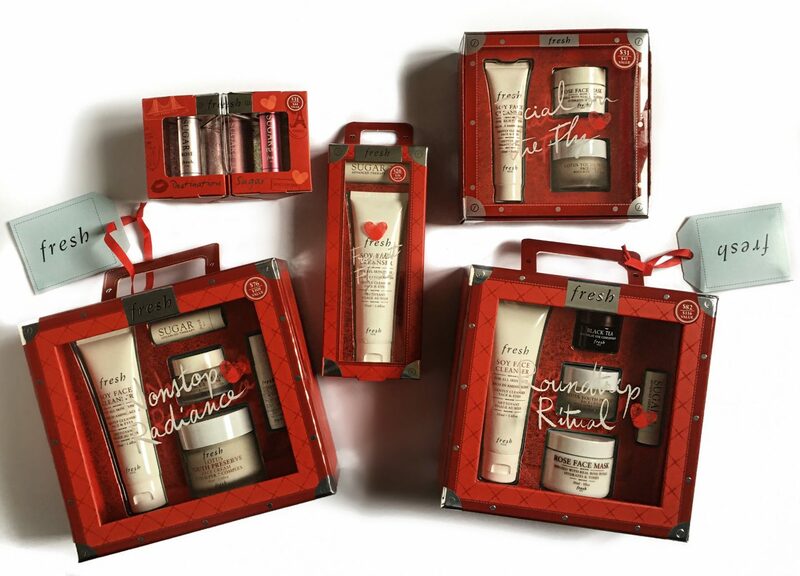 What better way to experience some of Fresh Beauty’s best selling products than through gift sets? All packaged together at a great price. 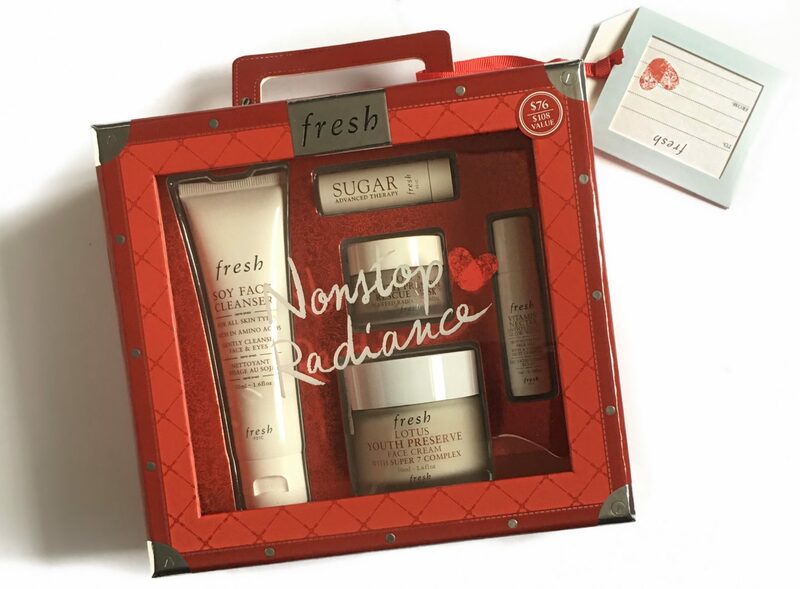 Keeping radiance in mind, this gift set includes some of Fresh Beauty’s most vitamin rich and hydration packed products.